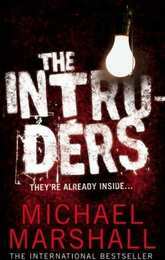 The Intruders is a novel from Michael Marshall Smith, an English writer who appears to have a large following as a science fiction writer. This novel isn’t really science fiction though, although it also has good reviews from fans. There are elements of science fiction in this book, but not obvious or explained ones. Jack Whalen is an ex-LAPD cop who left under an unexplained cloud. Turning successful author, he has gone to live in the country with his loving wife Amy, while he struggles to write a follow-up book. He is contacted by Gary Fisher, a lawyer that Jack remembers from high school. Gary was the high school jock who went off the grid abruptly when a young girl who had an unrequited crush on him decided the best solution to her romantic woes would be to kill herself. The only connection between Jack and Gary is the kind word that Jack had in Gary’s shell-like one day. Gary wants Jack to investigate a rather bizarre will of one of his rich clients for him, but Jack is having none of it, having left his investigative days behind him. Until he gets worried about the disappearance of his wife Amy after her mobile phone is found in a cab by an inquisitive driver. Madison is a young girl who is struggling with her home life. Her mother seems to be in a state of permanent depression and her normal favourite routine is shot to hell, especially when she appears to have a lucky escape from a predator on a beach. Things get more confusing for her when she finds herself in a big city with no idea how she got there. This isn’t the only thing she can’t remember either, such as the body of a young woman who had agreed to give her a lift. I have to admit I’d never heard of this author at all until Den of Geek announced that BBC Worldwide were behind a TV series of this featuring John Simm as the protagonist Jack Whalen. That piqued my interest and an impulse purchase was in order. This is a slow burner of a book, it’s not action packed so if you’re a fan of fast pacing then this probably isn’t for you. The story is a builder though, with layers to the mystery added over each chapter. The mystery at the heart of the story is rather a good twist on an already common premise, the clue being in the title – which also happens to the title of the book written by our ex-cop author. The conspiracy theory angle pushed here is a good one, although no answers as to how it works practically are given, which is also good in my opinion. This is purely about the story rather than the mechanics of any process. And it works. Very well. It's quite satisfying to see all the threads pulled together at the climax, some are not surprises but that doesn't spoil the fun. What does take some getting used to is the change in perspective. All of Jack's narrative is done in the first person, whilst all other narrative is done in the third person. It didn't really matter to me, but I have seen some reviews where readers struggled with this. Can’t wait to see John Simms play this character as I have a feeling that the upcoming TV series could be a corker. I just hope that they leave the story intact and don’t feel the need to feed viewers with answers that shouldn’t be there.